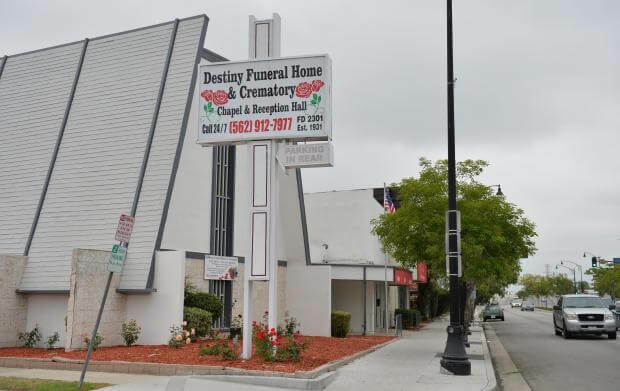 Whether looking for affordable Funeral Options or Cremation Services, Destiny Funeral Home & Crematory is your local funeral home located near Westminster CA and can service and cater to the families in the surrounding communities such as Signal Hill and Bixby Knolls CA. While there may be other reputable Funeral Homes in Westminster CA serving families, Destiny Funeral Home & Crematory is there for you and stands by you every step of the way to ensure we give your loved one an honorable Funeral Service. Allow Destiny Funeral Home & Crematory the chance to serve your family. Contact us today to learn more about our Affordable Cost Options. Click for information about Cremation Services in Westminster CA. In most areas of the country, state or local law does not require that you buy a container to surround the casket in the grave. However, many cemeteries require that you have such a container so that the ground will not sink. Either a grave liner or a burial vault will satisfy these requirements.